An update for the Sustainable Transformation Partnership (STP) Oversight Group, including the NHS’ Long Term Plan, which aims to ensure health services are fit for the future. 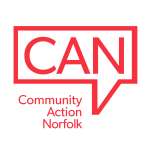 The Norfolk and Waveney STP Oversight Group will be working with patients, partners and the public to develop a local plan which makes the ambitions of the national plan work at a local level. To read the national Long Term Plan please click here.